On February 23rd, 2006, Dr. Archibald was called into Fort Walton Medical Center to perform a cesarean section on 20-year-old Michelle McCall. Although Dr. Archibald determined that the C-section would be unnecessary, he did stay to repair vaginal injuries McCall had from the birth. Dr. Archibald relied exclusively on a nurse to check McCall’s blood pressure. The nurse failed to report that McCall’s blood pressure was dangerously low. Michelle McCall died of cardiac arrest shortly thereafter. McCall’s family sued Dr. Archibald for medical malpractice. A federal judge gave her parents $750,000 each and McCall’s infant son $500,000, for a total of $2 million. However, the judge reduced the amount by half because Florida had enacted a law in 2003 which capped wrongful death suits from medical malpractice to $1 million. In March 2014, Florida’s Supreme Court reviewed the case and declared the law unconstitutional in a 5-2 decision. Malpractice cap proponents bitterly denounced the decision. The Florida Medical Association released a statement, arguing that the decision would intensify the “access-to-care crisis” for patients. The complaints fell on deaf ears though because the Florida Supreme Court is set to review another medical malpractice case. In other words, the Florida Supreme Court voided the cap on medical malpractice in wrongful death because the crisis was not real, or if the crisis was real it was over, and the law had no actual relationship to the purpose of reducing insurance premiums. Interestingly, the Court didn’t stress the most important argument against malpractice caps in its ruling. In theory, medical malpractice caps save patients money by lowering the cost of business for insurance companies, who pass the savings to physicians, who in turn pass the savings to their patients. The big question in that chain is what is the expenditure in that chain? Insurance companies and medical associations would claim that trial lawyers are the expenditures, but personal injury attorneys can’t file a lawsuit without a client. In reality, patients who are injured by their physicians are passing the “savings” to patients who haven’t been injured by incompetent doctors. People like McCall’s parents and her infant son are denied just compensation so that the rest of us can save a few bucks. It is shocking to me that so many people are ready to put injured patients in a worse position. It is very likely that the doctors who injured the plaintiffs will be treating us. By hurting the injured, we hurt ourselves. Insurance companies might argue that $1 million is more than adequate compensation. However, $1 million is no replacement for growing up without a mother. Once the lawsuit is over, the family can’t go back to collect more. McCall’s son will need someone to pay for his food, his clothes, his home, his medical expenses, his schoolbooks, his transportation, and anything else a child might need. The $1 million must last for eighteen years. Given inflation, he’ll be lucky if it lasts that long. Inflation is a huge problem when medical malpractice caps use absolute figures like $1 million. For instance, California’s Medical Injury Compensation Reform Act (MICRA) set up a malpractice cap of $250,000. The problem is that cap was written in 1975. In 1975, the price of gas per gallon in California was 57 cents. Today, the price of gas per gallon in California is consistently over $4.00. Prices are still going up, so the $250,000 that would have lasted a lifetime back in 1975 will not cover the same expenses today. I bring up California because this November, Proposition 46 will be the state ballot. Prop. 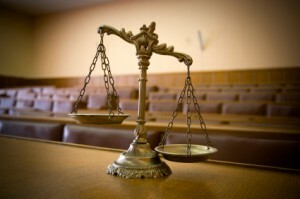 46 could amend California’s own medical malpractice laws. Florida isn’t the end of medical malpractice reform. It’s the beginning. Can a Miscarriage Be a Wrongful Death Claim?